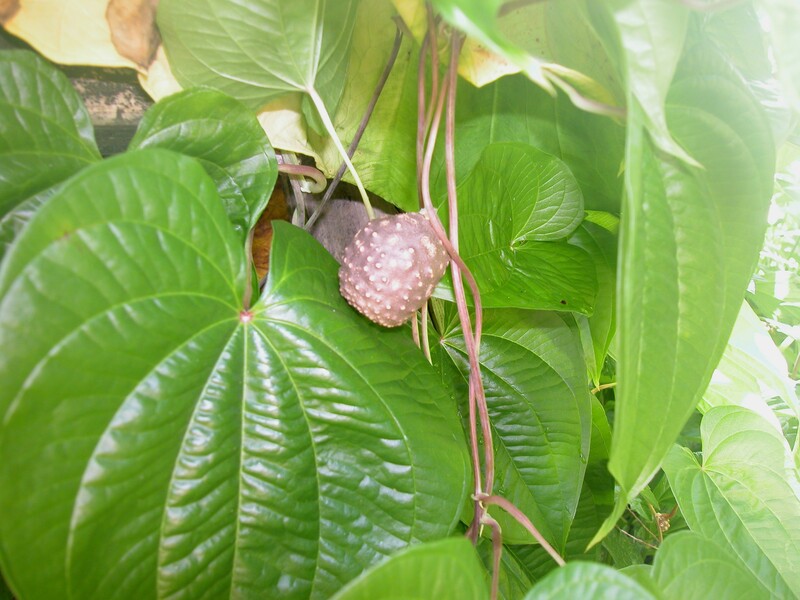 Air potato, Dioscorea bulbifera L., is an Old-World perennial vine that is highly invasive in the southeastern United States. 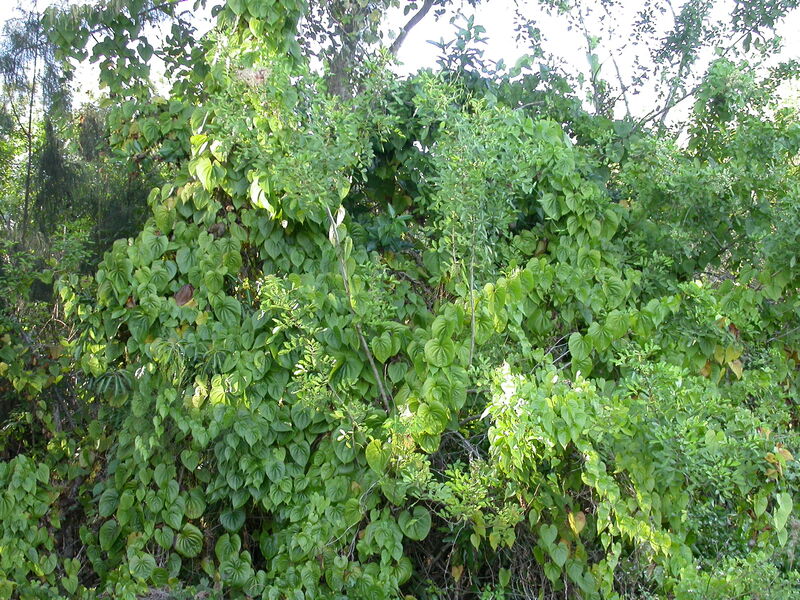 Air potato smothers native understory and canopy vegetation in disturbed uplands, hedges, fencerows, abandoned nurseries, and critical habitats such as subtropical and tropical hardwood hammocks, scrub, pinelands, and alluvial flood plain forests. 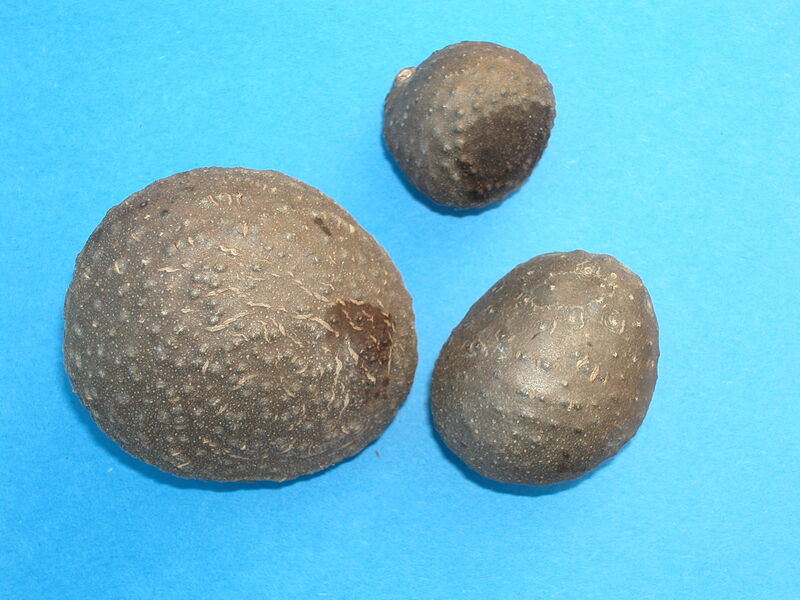 The native range of air potato includes Africa and Asia, but recent molecular studies suggest that the Florida population is of Asian origin. 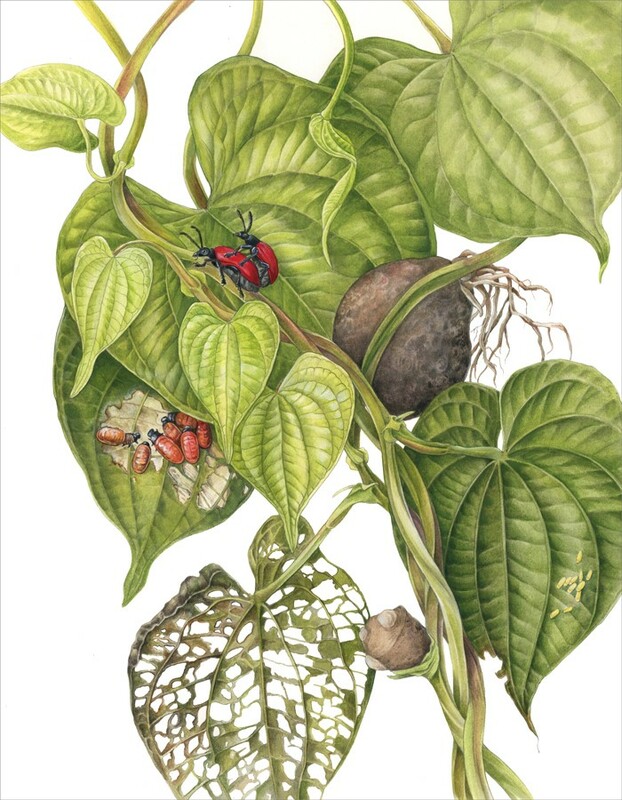 Scientists at the USDA/ARS Invasive Plant Research Laboratory (USDA/ARS/IPRL) in Fort Lauderdale, Florida discovered a leaf feeding beetle in Nepal and China that feeds on air potato. The beetle, Lilioceris cheni (Coleoptera: Chrysomelidae), is currently being released in Florida by USDA/ARS, the Florida Department of Agriculture and Consumer Services, Divison of Plant Industry (FDACS/DPI) and our UF/IFAS laboratory. In addition, the BRCRL is conducting laboratory and field studies on the biology of L. cheni. Determine the population growth potential of L. cheni under laboratory conditions. Determine whether L. cheni enters diapause in response to Florida winter conditions. 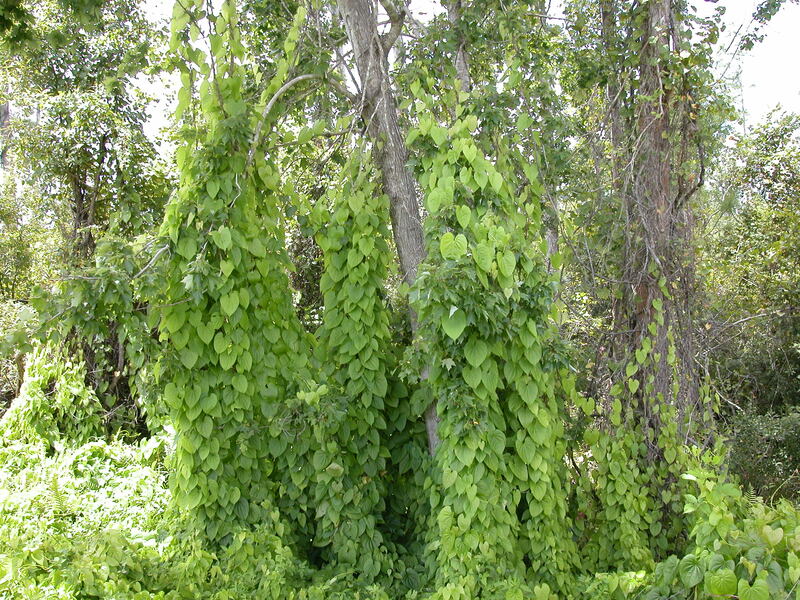 Evaluate overwintering survival of L. cheni at different latitudes in Florida. Determine the cold tolerance of L. cheni in the laboratory.